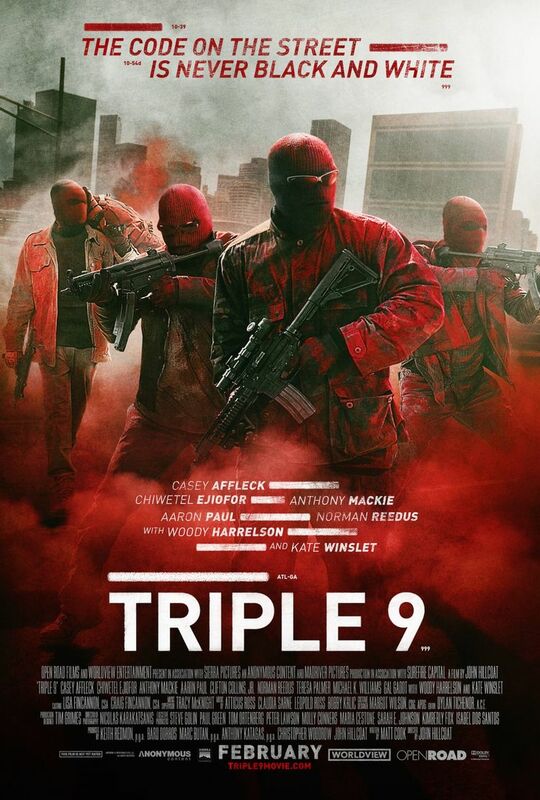 The 2016 film calendar is going to be a crazy year in film and it starts in February with highly anticipated Triple 9. It’s directed by John Hillcoat (The Road, Lawless) and stars Casey Affleck, Chiwetel Ejiofor, Anthony Mackie, Aaron Paul, Norman Reedus, Woody Harrelson, Kate Winslet, Michael K Williams, and Gal Gadot. The film follows a group of criminals and corrupt cops who find themselves in serious trouble. The Russian mafia is blackmailing them, and the only way to deal with them is to perform what is believed to be an extremely challenging heist. Impossible as it may seem, however, they eventually hatch a plan: on one side of town, half of the crew will plan the murder of a rookie cop named Chris Allen (Casey Affleck), and while the rest of the force is distracted by a 999 call (“officer down”), the other half of the corrupt cops will pull off the job. This all seems like it’s going to work until Allen winds up surviving the attack and fights back. Posted in Trailers and tagged Aaron Paul, Anthony Mackie, Casey Affleck, Chiwetel Ejiofor, Gal Gadot, John Hillcoat, Kate Winslet, Lawless, Michael K Williams, Norman Reedus, NSFW, The Road, Triple 9, Woody Harrelson. Bookmark the permalink.